Yesterday morning, I had English class with my 3-1 class. When I walked in the classroom, the home room teacher told me that my students had a song to perform for me as a gift. I was delighted as they pulled out their Korean recorders/tinwhistles (I don't know the name but will post a photo later as I have a gift of one at home). They played one of the songs from Fantasia and they were excellent. I had already decided that today I was going to bring some choco pies to give them as Christmas presents as I won't see these students until St Stephen's day. The students were so excited when the saw them and at the end of class I started to hand them out. The teacher stopped me and had me gather them back up. Meanwhile, the students formed a circle where I stood in the middle.. Then the teacher told me that they had heard my birthday was coming up and as I stood there red with embarrassment my 3rd graders sang "Happy Birthday" in English, congratulated and some even gave me little gifts of candy. 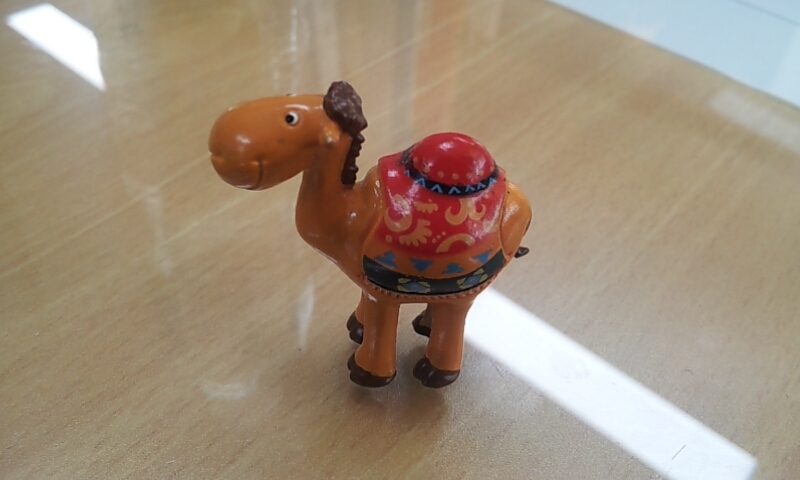 One student gave me a gift of a toy camel which I'm going to include in my crib. I had to pull back on the tears but the corners of my eyes were wet! I'm really proud of them regardless but I today am really chuffed that they wanted to do this and were encouraged to do so by their teacher. I feel really, really loved today and it just goes to show if you have teachers who care about English, you will see your students shine as they learn the language. So, thank you to my "children [for] singing [birthday] rhymes" and to my teacher for reminding me Christmas is a "time for believing" especially in the small things. PS This post is inspired by the generosity of my students and their home-room teacher. I used Cliff Richard's Mistletoe and Wine to illustrate their loveliness!